Finally it is possible to have healthy meals even when you are busy outside. The HeatsBox® stands out for the easiness with which it can be used and its flexibility. With it you can eat your meals warm whenever you want. The patent registered innovative and multilateral heating system allows the food to be warmed gently and uniformly. The functioning is controlled via a button or an app. In addition, these customer-oriented innovations make possible an IoT integration of the HeatsBox® in existing Smart Kitchen platforms. Here too Faitron has secured its rights on this know-how with a further patent registration in 2016. The efficient and odourless heating process allows the device to run with 230V as well as with 12V. Because of its flexibility, the HeatsBox® is perfect for many types of customer groups, like for example office workers, school children & students, truck drivers, etc. 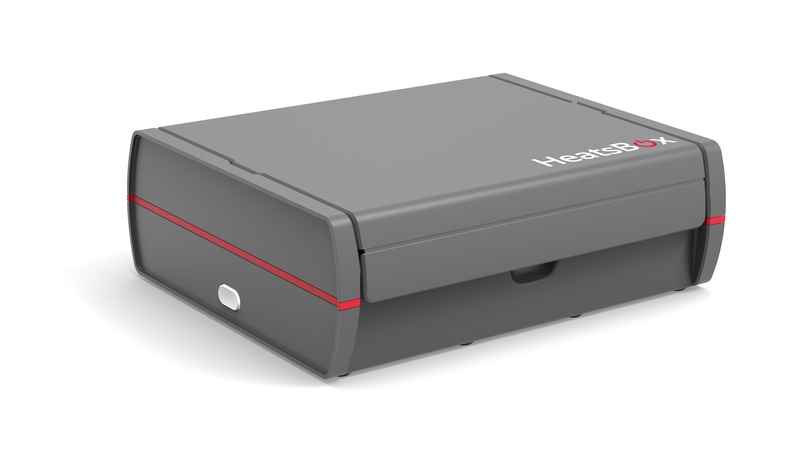 Healthy nutrition, effective time and money management and at the same time leading an active and busy life have never been easier to combine than with the HeatsBox®. Faitron has been for many years intensively supported in its efforts by the Startfeld Foundation and is proud to be able to present the patent registered technologies to a wider public. The HeatsBox® can now be ordered online (www.faitron.com). Faitron AG is a Swiss company focusing on mobile food solutions and flexible nutrition. The objective is to improve people’s health and wellbeing through our innovative product solutions. HeatsBox® is the first worldwide heating lunchbox, which allows to warm up meals in a matter of a few minutes everywhere and anytime.